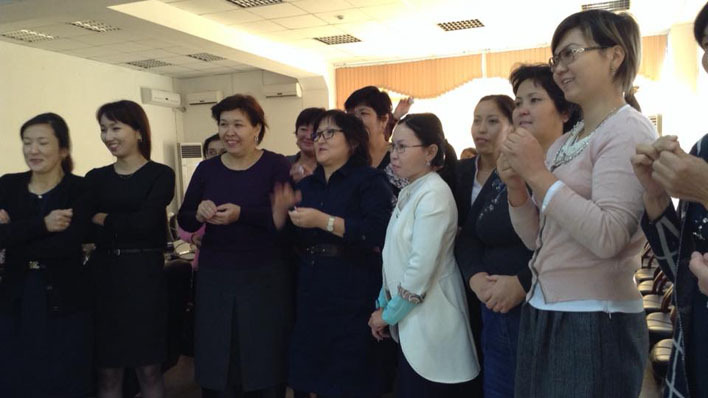 On 15-16 October 2015 UNESCO Almaty Cluster Office and the United Nations Development Programme in Kazakhstan jointly organized a training workshop on access to information and methodology of UNESCO Community Multimedia Centres (CMC) for librarians from ten rural communities in the framework of UN Joint Programme in Kyzylorda region. 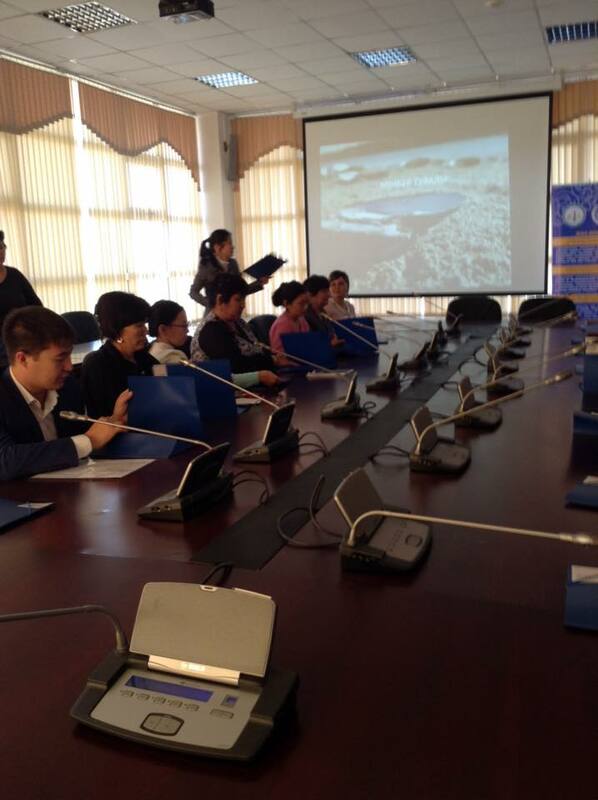 The workshop took place in Kyzylorda regional universal scientific library named after Abdilda Tazhibayev. The purpose of the event was to train community media representatives on the basics of community media using mobile information and communication technologies. The workshop provided opportunities for ordinary citizens to seek, create and distribute information, as well as express themselves, thus helping each villager to participate in decision-making and local government. 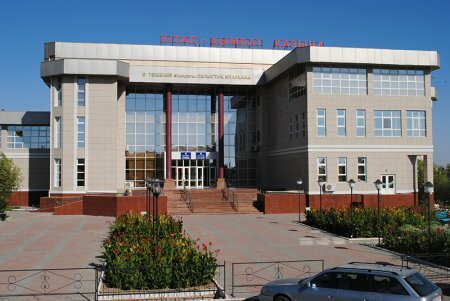 "Community Multimedia Centres supported by UNESCO have proved their effectiveness in Kyrgyzstan, India and a number of countries as a catalyst for local development. CMCs promote communication among all members and sectors of the community", - Sergey Lazarev, Director of UNESCO Almaty Cluster Office, in his welcome address to the workshop participants. The participants were coordinators of online centres from the villages of Kyzylorda region, such as Akkum, Madeniet, Enbekshi, Sulutobe, Shiraga, Kambash, Zhalantos, Orkendeu, Inkardarya, Akzharma. The programme of the training included the basis of making village stories related to the issue of access to public services in the following areas: education, drinking and irrigation water, agriculture, administrative services provided by service centers, women entrepreneurship and health. In addition, it covered creating by volunteers the calendars of local events, including competitions, meetings, cultural and educational events in the life of rural area, and disseminating information about them. In the near future, the CMC will be able to help disseminate the decisions and documents of local authorities, including those of maslikhats and akimats. The participants have learned the basics of collective multimedia production, including creation and application of images, photos, video and audio for their village stories. The training was focused on CMC readers, primarily local authorities, with a focus on people with special needs, women and youth. The training was organized in the framework of the UN joint programme "Improving the welfare and quality of life in the Kyzylorda region through innovative approaches to delivering economic, social and environmental services to the local population, including those most vulnerable" implemented by the Government and the UN agencies in the Republic of Kazakhstan: UNESCO, UNDP, UNFPA, UN Women, WHO and UNICEF. The Project started in July 2014 and will be completed in December 2016.